Eleven kākāriki or yellow-crowned parakeet will today begin their journey from the Marlborough Sounds to a new life in the Abel Tasman National Park. The native parrots have been bred at Lochmara Lodge and Wildlife Recovery Centre in Queen Charlotte Sound from wild caught adult birds. They will be transferred to an aviary in the park and will ultimately be released into the wild once they have acclimatised to their new environment. Project Janszoon ornithologist Pete Gaze says the birds will be banded and put into boxes at Lochmara Lodge and then transferred by helicopter to the purpose built aviary near Wainui Hut in the upper reaches of the Abel Tasman National Park. “There is presently a small and declining population of yellow-crowned parakeet or kākāriki in the higher altitudes of the park. When they are released in about two weeks these 11 birds will be the first captive-raised kākāriki to be released into the wild on mainland New Zealand,” he says. The release will only be possible because of predator control undertaken by Project Janszoon that should provide safe habitat for the hole-nesting birds. Mr Gaze says special thanks must go to the Lochmara Lodge which has bred the kākāriki from wild ones caught on Long Island in the Marlborough Sounds. Chair of the Marlborough Sounds Wildlife Recovery Trust Shayne Olsen, which manages the conservation work at Lochmara, says it is wonderful private organisations can be involved in public conservation. “By breeding birds at Lochmara Lodge the public can see the aviaries, learn about the projects and the bush, and maybe get a chance to see birds or wildlife that are elusive or rare in the wild. In turn it means the public will become more engaged in environmental protection,” he says. The birds were farewelled from Lochmara Lodge by representatives of Te Ātiawa and a representative of Manawhenua ki Mohua welcomed the birds into their rohe, acknowledging their kaitiaki role to ensure that the new population is well managed. 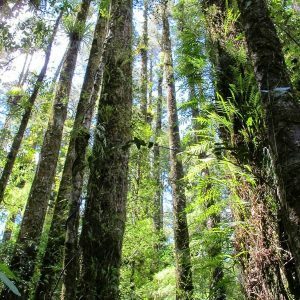 “The release of kākāriki bred at Lochmara into the national park, and the re-establishment of these populations across the Te Ātiawa rohe is supported by Te Ātiawa,” says Chairperson of Te Ātiawa o Te Waka-a-Māui Trust, Glenice Paine. Department of Conservation’s Chris Golding says this kākāriki transfer represents another step in the restoration of the Abel Tasman National Park. 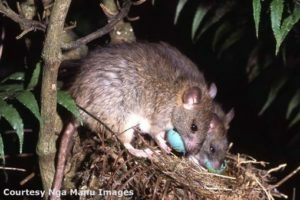 “We have seen the robins that were transferred to predator free Adele Island by the Abel Tasman Birdsong Trust thrive. With Project Janszoon now having funded an extensive predator control programme throughout the majority of park we will not only see existing bird populations thrive, will we also see bird species previously lost to predation from stoats, rats and possums becoming re-established, which is conservation at its best,” he says. Lochmara Lodge will continue to breed birds to be released into the Abel Tasman National Park and this initial cohort of just 11 birds should be followed by many more in future years.